Whenever a special day like Valentine’s Day is around, wives usually search Google or Pinterest for romantic gifts for their husbands. And it’s a known fact that men can be difficult to shop for! This Valentine’s Day, we decided to be Cupid’s torchbearers and make a list of our top 20 valentine’s gifts to make your husband fall in love with you all over again. Deciding on the perfect thing to do together is one of the greatest dilemmas in every relationship. While the wife would want to watch a movie and go for a dinner date, the husband might just want to lazy at home, order in food and binge watch all India vs Pakistan World Cup series. 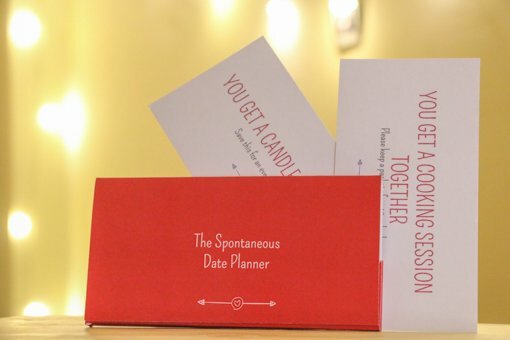 If you agree, here are some redeemable date coupons to add the spark to your relationship, this Valentine’s day. During the courtship days and the honeymoon period of your marriage, we bet your husband has promised you everything in the world, and perhaps even the universe and beyond like the stars and the moon. 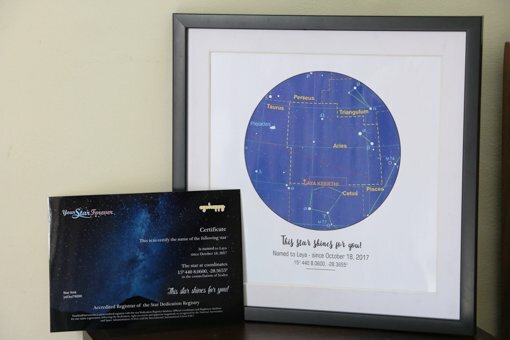 This Valentine’s day, name a star after your husband and make this gift literally out of the world. 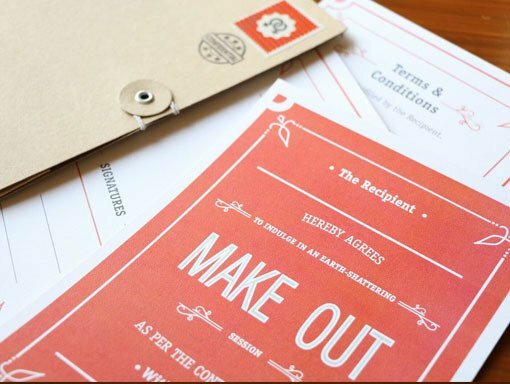 This season of love, hold your husband legally responsible with a hilarious contract binding him into a warm cuddle of a steaming hot make out session. You’ve dreamt and planned of your entire life together with your husband. Holidays, babies, investments…surprise him with a sneak peak into your future together. You’ve made a thousand memories together in your journey with him. And we bet you have pictures of those memories. 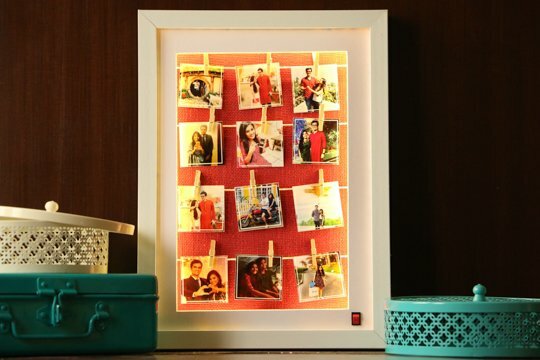 Take your husband on a trip down the memory lane of your amazing marriage with this unique frame that lights up with flick of a button. 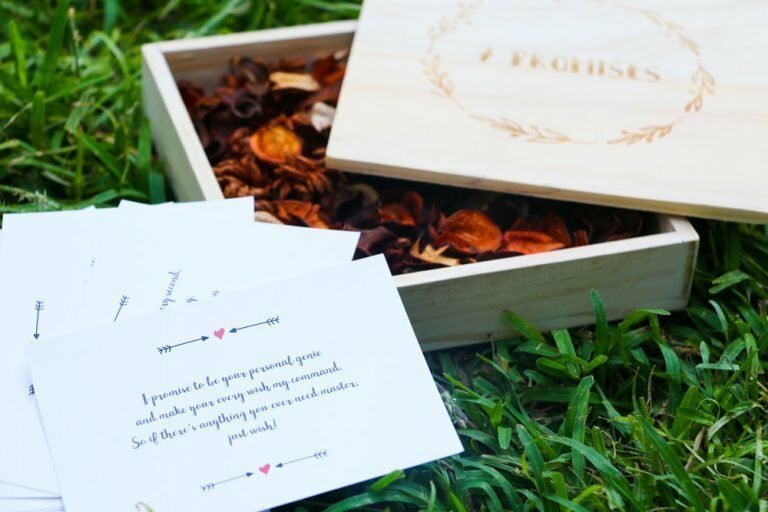 Making a promise is one of the most romantic gestures any couple can do for each other. This Valentine’s, gift your husband the assurance that you will always be there for him and grow old together. 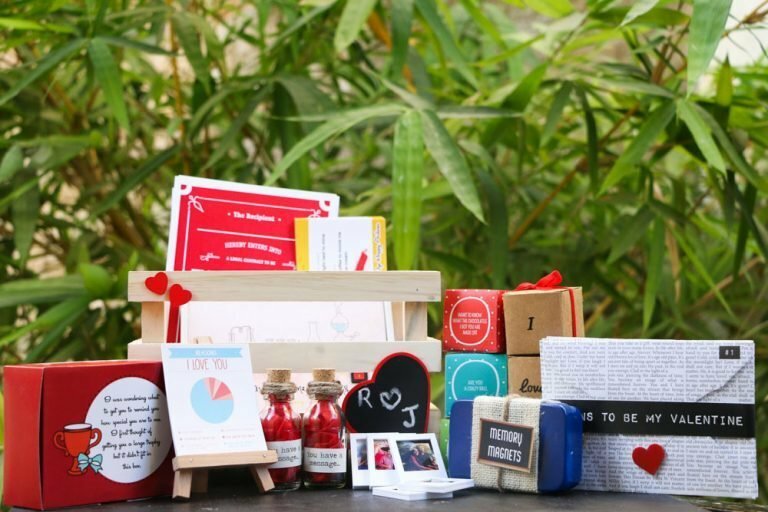 Add a spark of romance to your marriage with a love hamper packed in Cupid’s warehouse. 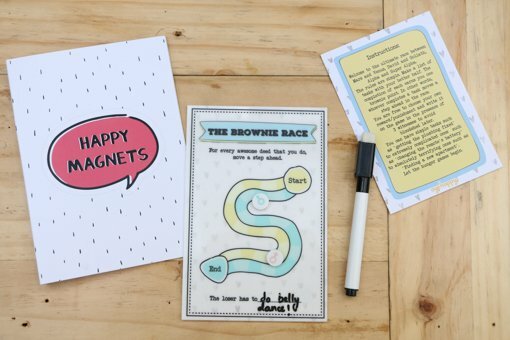 From a funny Cuddle contract to an LED card to photo fridge magnets – the goodies in the hamper is designed to make your husband blush on Valentine’s day! Love your husband and know him inside out that you always thought of writing a book or making a movie on him? 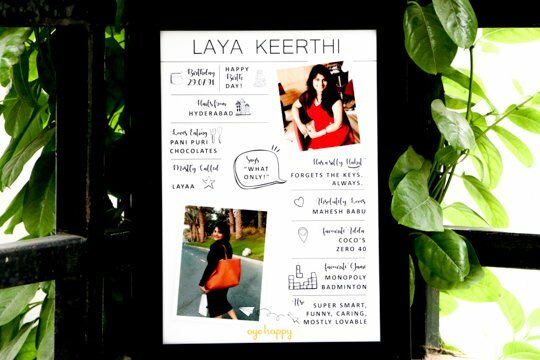 Get him a frame designed with things which define him. If you and your husband hail from different Indian cities and still fell head over heels in love with each other, here’s the perfect Valentine’s gift. You’ve perhaps had multiple wars with him asking him to help you with the household chores. Make household chores a fun time by making him play this game. Move over “Movie tonight” or “Dinner at 8pm” texts. 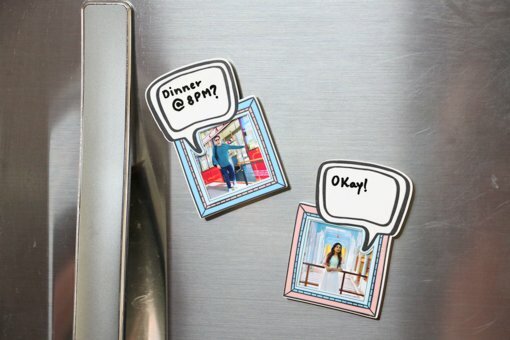 We’ve a cooler way for such conversations – fridge magnets. This works even for the days you have fought with him, don’t want to talk to him, yet have something to convey. There a few occasions like Valentine’s day that demands more than a “Happy Valentine’s Day, dearest Hubby!” text or wish. 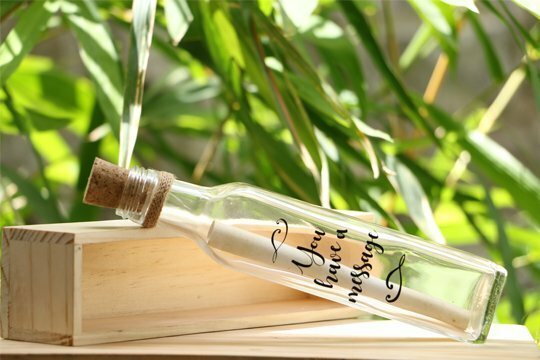 Make your Valentine’s day wishes to your husband romantic and special with a letter inside a vintage bottle. Love snakes and ladder? But here’s a naughtier version of the game you can play with your husband on the most sensual nights. Always thought your husband has more mood swings than you do? Whether your husband is angry, romantic, naughty or whichever mood he is in – here’s a gift for every mood. 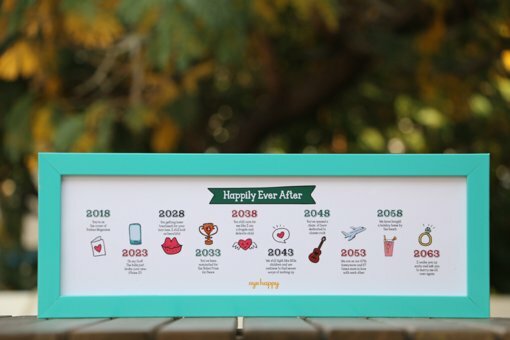 Have an incredible love story? 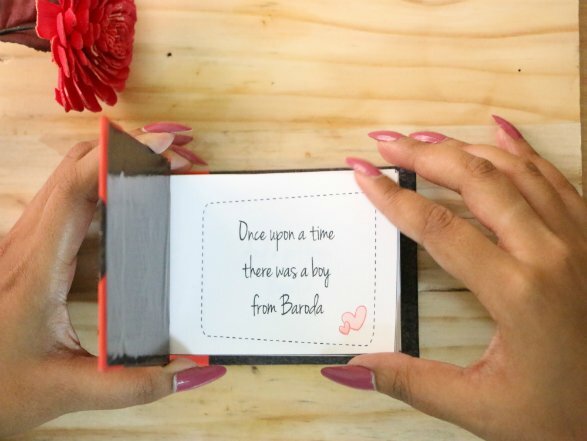 Get it scripted as a book for your husband, this Valentine’s day. Love your husband to the moon and back? 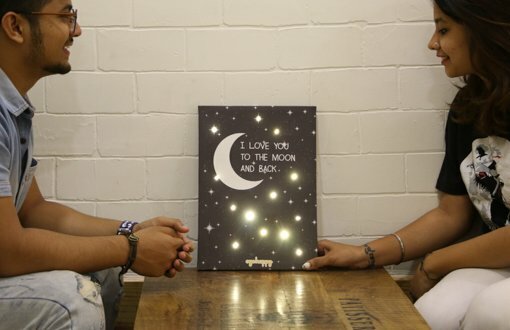 Say it this Valentine’s day with this beautiful piece of art designed to light up at the flick of a button. 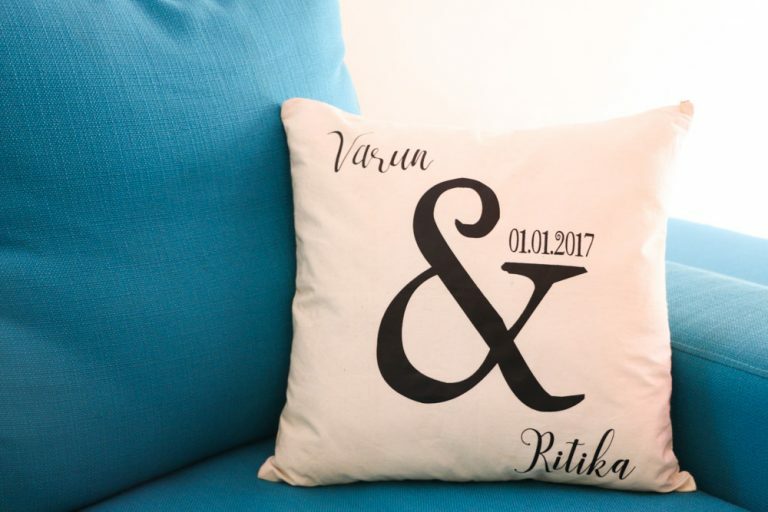 One of our all time favorite and “touchy” gift for couples madly in love – a cushion with your names and a significant date written on it. 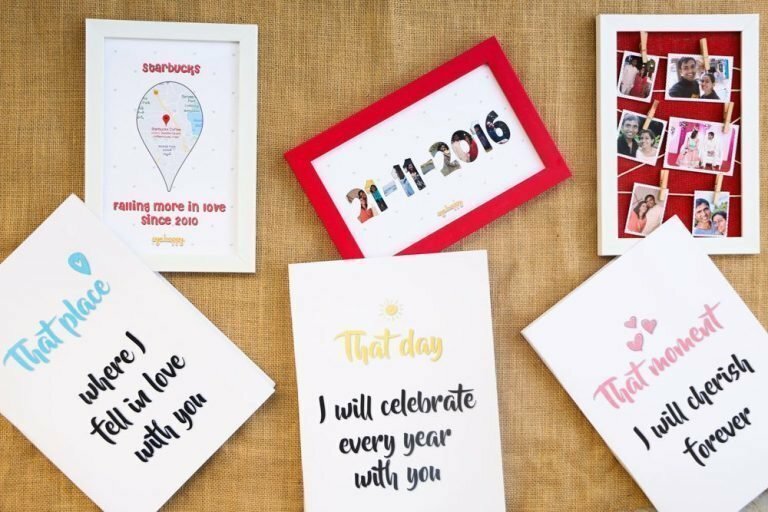 The best way to remind him of the special dates and memories which he always forgets – preserve them with these amazing frames. Whoever said men don’t enjoy compliments are liars! 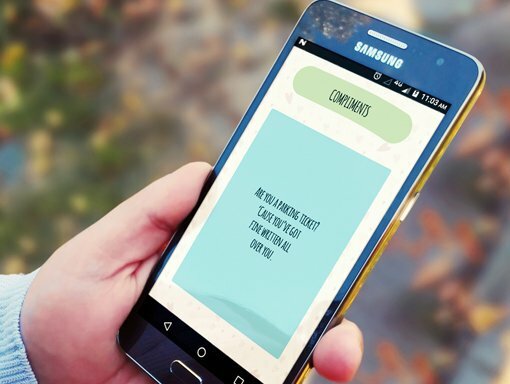 If you agree and think your husband secretly loves every time you compliment him – here’s a customized mobile app to show on compliment a day for 30 days to reveal a surprise. Are photo frames the obvious choice of your gift? 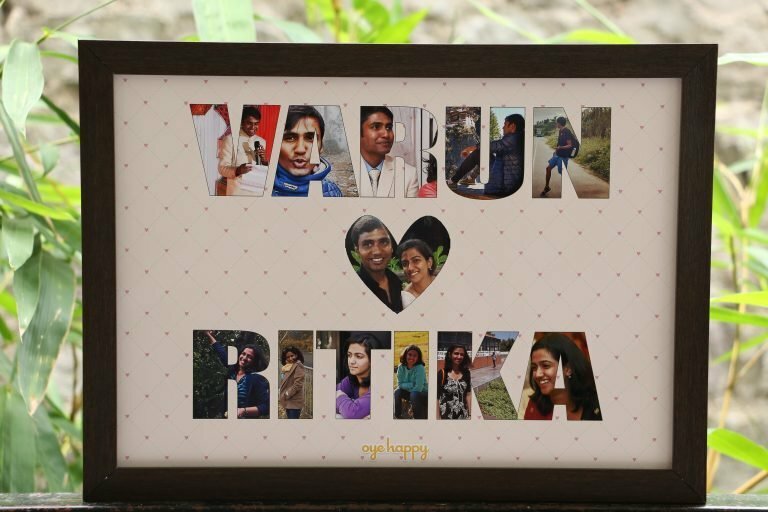 This Valentine’s day, gift your husband a special photo frame customized with both your names and your best pictures together. While you pick the most romantic Valentine’s day gift for your husband, how about checking some romantic experiences you both could enjoy together? Check them out here.